Fresh from a last-gasp win, United travel to the seaside to face Brighton – beginning the penultimate gameweek in the Premier League. It’s fair to say Chris Hughton has personally had a better campaign than his counterpart José Mourinho, but ultimately there will be plenty of places separating them come the of the season. A rare Friday night fixture could start the weekend with a bang. 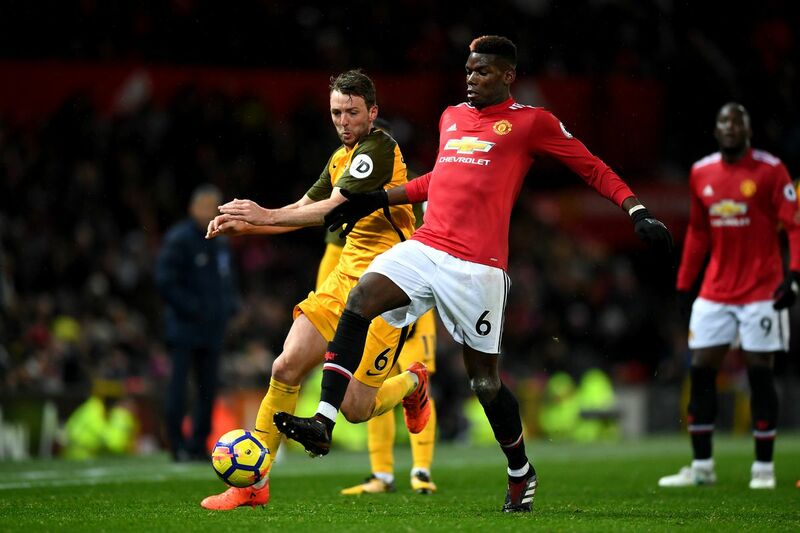 Winless in their five outings since meeting United in the FA Cup almost two months ago, it seems that late season nerves have crept into the side despite looking set to stay up. Little change in the squad has come too post-cup exit as the 4-4-1-1 is still used. Getting his fair share of attention recently has been advanced play-maker Groß who has contributed hugely to his team – almost as much as the man in front of him in that two-forward system, Murray, and winger Anthony Knockheart who has also shown quality this season. Their defensive solidity has come into question once again as they kept a clean sheet last weekend for the first time in 12 games. However, the partnership of Shane Duffy & Lewis Dunk has not yet been tampered, nor the partnership of Berim Kayal & Dale Stephens ahead of them in the midfield since Davy Pröpper was suspended (but the Dutchman is back available for this one). The weak point seems the full backs in Bruno Salter and the much talked about Gaetan Bong as they struggle to stop crosses on numerous occasions. It’s a nightmare run-in for Brighton now though as they face the top three sides for their final trio of matches (home, away and away respectively) so they will be hoping to leave the AMEX this campaign on a high note by getting one over on their adversaries on the day. Winning their first game in extra-time since August 2016 meant a Champions League place was secured for next season as the the squad should be full of confidence going into the final handful of matches remaining this season. Mourinho believes both David De Gea (fresh regaining his Sir Matt Busby POTY award) and Marouane Fellaini will stay at the club for next season due to recent positive talks, with the latter being out of contract in the summer along with Daley Blind, Ander Herrera, Juan Mata, Luke Shaw and now regular starter Ashley Young. Victor Lindelöf won ‘Man of the Match’ last time out and deserves to retain his place. Fellaini was needed as a battering ram in that weekend win and may be utilised again against a physical opposition centre back pairing. Jesse Lingard was on loan to Brighton in 2014 and will aim to show how much he has improved since then. With Lukaku still a doubt, either one of Anthony Martial, Marcus Rashford and Alexis Sánchez should start up front.